Meira Mathison has maintained a studio, Dancerwood Pottery in Victoria, British Columbia, Canada for over 35 years. For the past 30 years she has conducted workshops throughout British Columbia, Alberta, Canada, U.S.A., England and Mexico. Meira sells her work though art shows, Dancerwood Pottery and galleries in Canada and the United States. 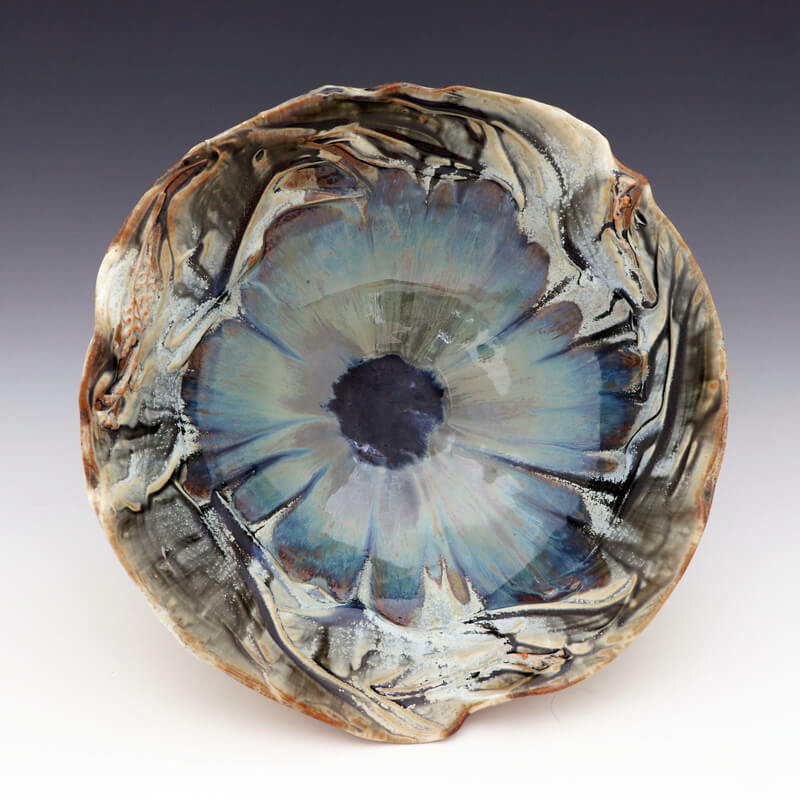 She is noted for her unique high-fire altered porcelain using thick slips, layered glazes and colored inlaid imprints. These elements create movement that dance throughout her pots. Most recently she has been exploring the large double wall form, a very technically and challenging form that is manipulated into shapes that mimic the sea scoured sandstone. Meira was the Executive Director of the Metchosin International School of Art for over 22 years, and now directs their ceramic program. “I love what I do!”. Whether it is making a pot, discussing art vs craft with other artists or teaching techniques to people just discovering clay or stretching their abilities. I love it all. My pots reflect my life – ever changing, nothing is static; a life full of color, fun, pushing the limits and challenging the day-to-day. Clay is a large part of my life and my passion.